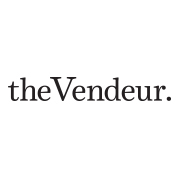 The Vendeur is dedicated to protecting your privacy. This policy was updated on 30th September 2018. For the purpose of the Data Protection Act 2018 (the Act) and all other relevant privacy and data protection law in force in the United Kingdom, the data controller of all personal data provided by you to us will be The Vendeur Ltd (http://thevendeur.co.uk). We are registered in England and Wales under company number 11585914. If you, as a visitor to The Vendeur, elect to register as a subscriber to one of our mailing lists, we will collect any details that you provide to us using our sign up form (including your first and last names and your email address). None of your personal data will be displayed to other visitors to the website. We will retain your data for as long as your account is active. There is no automatic expiration on accounts, but you may request deletion of your data at any time. Visitor comments may be checked through an automated spam detection service. If you notify us that you want us to stop sending you direct marketing communications, then we will keep a record of your e-mail address on our ‘opt-out’ list indefinitely in order to ensure that we continue to respect your request at all times. You may, at any time, request access to the personal data that we hold which relates to you. This right entitles you to receive a copy of the personal data that we hold about you in order to enable you to check that it is correct and to ensure that we are processing that personal data lawfully. It is not a right that allows you to request personal data about other people, or a right to request specific documents from us that do not relate to your personal data. You can exercise this right at any time by writing to us at hello@thevendeur.co.uk telling us that you are making a subject access request. You do not have to fill in a specific form to make this kind of request. Where we send you e-mail marketing communications you have the right to opt-out at any time. You can do this by using the ‘unsubscribe’ link that appears in the footer of each communication. When you write to us making a request to exercise your rights we are entitled to ask you to prove that you are who you say you are. We may ask you to provide copies of relevant ID documents to help us to verify your identity.